Each month I like to choose 1-2 habits to focus on for improving my health. For a very long time, ‘quitting sugar’ has been on my list, but for some reason I kept putting it off. My main rationale was that I normally only have sugar once or twice a week. Surely I didn’t have a problem with it? But there was something in my hesitance to give up the white stuff which made me curious. So in April I committed to quitting sugar for a month. 1. It gets stored as fat. Regular table sugar (sucrose) is made from half fructose and half glucose. Most people in the ‘quitting’ sugar camp are focused on the negative effects of fructose. Basically the concern is that fructose can only be digested by a special pathway in the liver which stores the fructose directly as fat. Without giving us a chance to ‘burn’ it for energy first. Ouch. 2. It gets stored as fat. Yes, repeating myself here! But you know the glucose that makes up the other half of table sugar? When it gets digested it goes into the blood stream and when the levels get high enough, insulin is released to help bring blood glucose (sugar) levels back to a safe range. Whenever insulin is around the glucose is getting stored as you guessed it… our old nemesis fat. 3. It feeds cancer cells. I was really interested to learn last year that the only source of fuel that cancer cells use is glucose. Preliminary studies have shown that reducing the amount of glucose in the body reduces the incidence of cancer. For more on this see Potential Tactics for Defeating Cancer. It’s fascinating stuff. So did I manage to quit sugar? Actually no I didn’t make it through my month sugar-free. There was one night when we had friends over. I’d asked them to bring dessert and was planning on sitting it out. But when the time came, it felt wrong to not at least taste the lovely apple pie. Which was delicious for the record. It did surprise me because normally I’m happy to say no to the sweet treats in social settings. But apart from that, I made it through the month. To be honest I didn’t really feel any different at the end of the month. But given my regular sugar intake it pretty minimal, I wasn’t surprised. The only positive I did notice was that normally my weight does up after a weekend of sugary indulgence and returns to normal around Wednesday. But during my sugar-free weeks I didn’t have any of these spikes. My experience confirmed my suspicion that sugar is a little like alcohol. Definitely not good for you in large quantities. And definitely good fun. I also think that just as some (unlucky) people are prone to becoming alcoholics, there are some people who are more likely to suffer from sugar addiction. And that just as there are people who can enjoy 1-2 glasses of wine a day in a healthy way, there are people who can treat sugar in a similar manner. 2. To make your ‘tea’ place 1-2 teaspoons of the mix in a cup. Top with hot water and a splash of milk. Relax and enjoy! Addicted to sugar is my biggest struggle when it comes to losing weight. I lost close to 70# back in 2012 and then came the holidays and I caved and little by little I’ve been trying to keep from gaining the weight back and sugar calls my name so loud that I have gained it all back. Am now trying harder and harder to let go of all sugar, which can be tough, because it’s sneaky too, with getting into foods you wouldn’t even think of. I truly feel that it feels like a drug to me and so many others. We have to be very strong and we can do it, a day at a time. And it is possible to lose the craving and that’s my mission! I really didn’t struggle with any withdrawals or cravings at all. I never felt deprived or tempted to cheat. In fact, my birthday fell in that time period and, for the first time in my life, I did NOT have a birthday cake! I had fresh, birthday raspberries instead and they were splendid! I’d love to say that with my diet and assorted alternative remedies and therapies my hearing came back as before but it did not. I have a bit more than 50% of my hearing back and the tinnitus never left. BUT … I’m so glad I cut all those food items out because I KNOW I can live without them and live contentedly. The biggest thing I’ve noticed after cutting all sugars out for a month is how disgustingly sweet some foods are. At a family gathering on the 4th of July, I ate what the rest of them were eating: grocery store buns for the burgers. YUCK! They taste like doughnuts. Burger on a doughnut – not good. I couldn’t tolerate pop and ketchup tastes like candy. Very odd but I’m very grateful my taste has become so sensitive. I don’t need sugar! LOVE the look of this recipe, thanks for sharing!! Hi Jules. I enjoy you emails however I have diabetes so I can not enjoy your recipes as I used to. Carbs and refined processed “food?? ?” become glucose no matter how you look at it. There is so much of this poison in our diets today that if it were introduced today as a food source it would receive the same rating as heroin. I found that fascinating, well, interesting. If you can, please send some recipes that are “sugar” free. I don’t know if thats possible. My diet consists mainly of boiled vegies and a piece of steak. That seems the only way to keep my bsl to around 5-6. Thanks again for you emails and keep the sugar free thing going. God bless you. The sugar not so much of a problem Jules, but I’m with you on the wine! 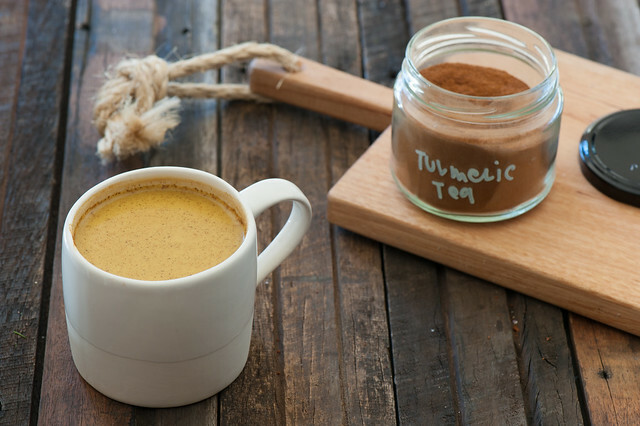 I’ll keep trying to give it up for a month…I make that lovely turmeric tea but excited to add a whole lot more cinnamon to it….Love your recipes! I’m a super taster. I’ve been a super taster my whole life. If I eat cake, cookies, ice cream, anything sweet, I need to find a sink or toilet because I will hurl. My mom said when I was a little girl a neighbor went on vacation and brought me back a chocolate bar. There was more on me then there was in me. I bought some vitamin C tablets with rose hips in them. I had no idea what rose hips were but I found out when I took one. Boy were they sweet! At first I thought I had some kind of allergy but realized that as soon as it hits my tongue is when I have to throw up, not when it hits my stomach. I tried brushing my tongue once because the dentist says you should. Breakfast, lunch and dinner in the sink. I have more taste buds on my tongue then most people. It’s amazing how many things have sugar in them, things you wouldn’t think have sugar. I also can’t eat lots of fruit because it’s either to sweet or to sour. Anything to spicy bothers me too. I’ve lived with it my whole life (I’m 61) so it doesn’t bother me and it never did. What’s funny is I love to bake! The problem is I have to have someone else taste it. At Christmas time I will sometimes bake 7 different kinds of cookies! I am also a super smeller so I hate the taste and smell of alcohol! Yogurt smells spoiled to me and so does sour cream! If you look up what a super taster is though it doesn’t seem to be me! At least not the few things I have read. I don’t feel like I’ve been deprived because I love a lot of things, just not sweets or alcohol. Besides, if you like a screwdriver, which is Orange Juice and Vodka, who knows if it’s just OJ or not? I love the OJ way better then the Vodka. Give it time Jules, you will feel different (that’s my experience anyway) but it did take a couple of months. Migraines and coldsores are gone for starters! But it’s the mind games that I enjoy not playing – “I deserve a sugary treat for doing such and such…” and thinking it was the only way to reward myself. So many other ways – and this tea is one of them! Thanks for a super duper easy recipe. Interesting. As a life scientist in a former life however, I need to partially correct you on number 3 in your reasons that sugar is so bad for you. The thing is, ALL cells require glucose as fuel, not just cancer cells. Glucose is the major source of energy used by cells — other sugars, carbs and fats are converted to glucose before use in glycolysis, a central metabolic process. But cancer cells do have a greatly increased rate of glycolysis compared to normal cells, although no one is quite sure why. Thank you, I was thinking the same thing about glycolysis, and have had to correct people who have said that “sugar causes cancer”. This is why whole foods are ultimately better, because the synergistic chemistry of digesting them causes your body to work more efficiently and take up glucose at a slower rate. Gave up sugar cold turkey for months, for a very strict candida diet. Did wonders to my energy levels (I did eat plenty of sweets) and now I know that refined sugar gives my intestins a hard time, apparently not everyone runs to the toilet after a Ferrero rocher?! (They seriously give the worst pains) so in my case I’m very sensitive to it. Now I sweeten my life less and differently. Bananas, coconut sugar, raw local honey, a little xilitol..stevia tastes disgusting to me, we even grew our own but no. Weight has gone down(never been an issue though), and MY TEETH are the real miracle. So worth it. I’ve heard of the benefits of turmeric tea/lattes but wondered if it will stain my teeth yellow (given how much turmeric stains many things yellow)!!! If you are interested in reading some more about sugar or carbohydrate addiction, I read a book a few years ago called ‘ The Big Book of Endurance Racing and Training’ by someone called Philip Maffetone. I didn’t necessarily agree with everything in his book, but it did help to make me more mindful of what was in the foods I eat and how they might affect my body. The 2 week test he describes is a little less extreme than a month without sugar! This is exactly what I needed to receive today – I’ve been struggling with cutting sugar and caffeine even though it’s been suggested by my doctor. 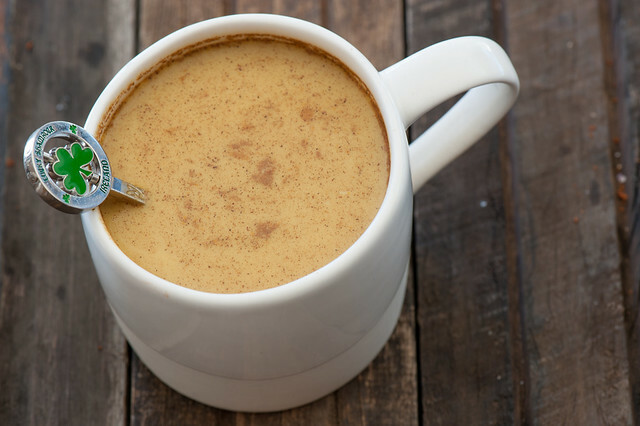 I’m going to try again tomorrow and I am very excited to have such a healthful substitute to try for my morning hot drink. Great article but please don’t continue to spread the sugar/ cancer myth – ALL cells are fed by glucose/sugar. In fact, the brain’s only fuel is glucose except during starvation. Sugar causes obesity, which is a risk factor for cancer. Cutting out sugar has been a huge help to us as a family to eat healthier. Because so many processed foods have sugar we’re forced to make more homemade items. It’s interesting that you mention weight as a marker for less sugar consumption. In America, notorious for obese kids, my three children are observed as looking underfed in comparison, however they eat a near constant stream of whole foods. For myself, I’ve been asked what my “secret” is for staying slim. Avoiding sugar can be a real key to maintaining a healthy diet. When we want sweets, we use honey and never feel deprived. oh! I wish I was like you. I have no problems at all with alcohol. I only drink when out with friends and very occasionally at home. Sugar on the other hand I have a massive problem with. I pretty much can’t have sweet stuff in the house because I am powerless to resist it. I need a better relationship with sugar. I tried the tumeric ‘tea’ and although I liked the flavour, within five minutes it developed a very unappetising texture… kind of gelatinous. This was with almond milk (I have a dairy allergy) but was also repeatable when I simply used hot water. Has anybody got any suggestions? Thanks so much for sharing, as I really needed to read your sugar ideas/facts, Jules. Am definitely a sugar addict: don’t dare bring cookies, cake, or anything sweet into the house, as I will eat a whole cake or pie in a day’s time. Have always been thin, so thought I’d be okay. Now pre-diabetes becoming a reality, so need to bite the bullet. My previous solution(?) was to allow myself to buy an individual sweet when I’d stop for coffee or lunch; felt at least I was only eating one of something! But lately see the portions I order–a slice of cake instead of one cookie–are getting out of control and more frequent. To give up sugar is going to be very difficult, as it has been my reward, my consolation for life’s ups and downs for so long. Thanks for inspiring me to begin. I have no problem with alcohol. I don’t like it in any form so I don’t drink it. Don’t like sherry in the trifle. I sure like the trifle if it doesn’t have the sherry or whatever alcoholic beverage might be sprinkled over. Thank you for sharing this recipe. I too have seen a recipe that included black pepper. I’m going to try it. I was off sugar and gluten for a year and a half. Yes, I lost a little weight and felt better. But, quitting sugar didn’t eliminate my carb/sweets cravings. Reducing my overall sweets intake (fruits and grains) and eating mostly veggies, protein, and some whole grains (brown rice, oats, buckwheat) is what did the trick. Sugar? I eat it in moderation now – something really good every one or two weeks. Now, I can easily control my sugar intake, and as I don’t demonize it anymore it doesn’t have the allure of being taboo. I occasionally eat good whole wheat and sprouted wheat foods, too. I really recommend this approach to amyone who struggles with sugar and compulsive eating. It worked for me. wow .it just makes you realise how tuff some peeps food life is.i have always used honey instead of sugar.sweets mostly off the menu.follow the italian way with red wine;-)i exercise as much as possible, doing tai chi .my electric bicycle is my transport,but use minimal assit.have lost 14kgs over 3.5 yrs.my love of food and cooking grows daily. a tip for the irishman,say,whale oil beef hooked quickly. It would be useful to have your definition of sugar – it sounds like you were eliminating refined sugar – but it gets quite confusing when talking about sugar-free to work out what constitutes sugar – honey, alcohol, coconut sugar, fruit? Hi, thanks for sharing your story. I would also like to know more about how you define “sugar”. When I hear people say they’re eliminating sugars, I assume that means not eating anything that ends in “-ose,” including lactose, fructose, and glucose. However…not eating any glucose would be very difficult. Can you elaborate a bit? I would just like to add some important information… in order to be better absorbed by the body Tumeric needs fat and a touch of pepper. I would suggest a spoon full of coconut oil that goes very well with your recipe. I have been a diabetic all my life and I lost 60 pounds and now I would crawl through a fire for sugar but it never bothered me before! Does the body crave it to make up for all the years it had to do without? It doesn’t seem to affect my blood sugar anymore. Am I setting myself up for diabetes again?